In the Showbox theater drama, the Seattle City Council is being sued precisely for behaving like socialist activists. It’s a test case of whether it might be time to dial it back a bit. The big question about the Seattle City Council these past few years, in my view anyway, is whether it’s a traditional governing body anymore, or has it turned into a full-on activist group? There’s now a test case of sorts. Because the City Council just got sued precisely for behaving like socialist activists. 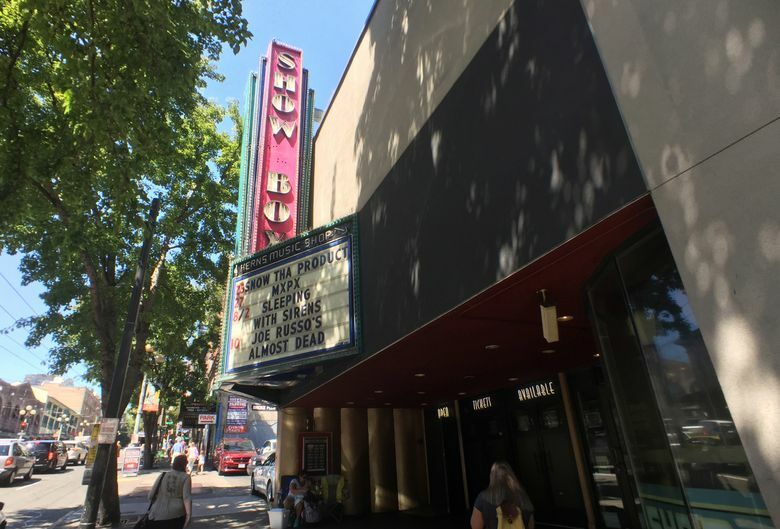 Keller represents the owners of the Showbox theater property downtown. That’s the beloved music spot that was set to be torn down for a 44-story apartment tower before the City Council stepped in last month to try to save it. The lawsuit argues that when the city drew that one lot into a historic district, it effectively took the development rights without paying. That part of the suit was so predictable that even I correctly predicted it. But more tellingly, the lawsuit also says that the whole way the council went about its work — by cheerleading and doing its usual crusading shtick — was so activist that it was itself illegal. “The City Council failed to recuse biased members from voting, actively campaigned on behalf of a position on the issue, and made biased, prejudgment statements against a position to be considered,” the lawsuit alleges. Now the above paragraph definitely sounds like our City Hall. When the lawsuit specifically called out Councilmember Kshama Sawant for behaving in an injudicious fashion, I had to laugh because that’s her essential nature. Might as well sue a sea lion for eating salmon. But the difference in this case is that while council members are free to act as cheerleading activists when crafting ordinances that affect broad groups or the entire city, they’re supposed to behave more soberly, like judges, when pondering actions centered around a lone land parcel such as the Showbox. That means no private meetings with supporters, pro or con. No rallies. No expressions of opinion. They’re supposed to vote solely on evidence entered into a painstaking case record. If these “quasi-judicial” rules are found to apply to the Showbox case, then the council recklessly and wildly flouted them. It’s as if you showed up to a courthouse and found robed judges shouting through bullhorns before leading a crowd inside to render a verdict. The lawsuit is for $40 million, which Keller says is simply a calculation of what the land is worth as currently zoned, for a 44-story apartment tower, minus what it’s worth “frozen in time,” as the two-story Showbox. What’s fascinating about this moment in city history, though, is how Sawant in particular has flipped the usual script. The quasi-judicial rules for cities were set up so that individual land owners couldn’t push through sweetheart zoning deals — that is, to subvert the common good for the benefit of the few. What happened here was the subverting of the rights of the few to benefit the common good. In other words, bare-knuckled socialism! Was it legal? The courts will answer that. But regardless, is this sort of socialist activism what folks want out of their municipal government? Sawant to her credit has been transparent. She is willing to go so far as to suggest that government effectively take over private businesses and run them for public benefit. I can think of 40 million reasons. But that’s the residual capitalist in me talking. Look, I get why the city went full-on activist in the first place. The federal and state governments have been paralyzed on issues such as poverty and income inequality. So the city stepped up, with initiatives such as the $15 minimum wage. But there’s stepping up, and then there’s overstepping. We aren’t actually a socialist city yet, with state-heavy rules to match. So the consequences of the latter sure seem like they’re starting to get expensive.